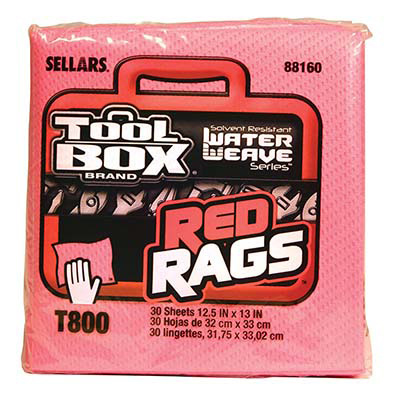 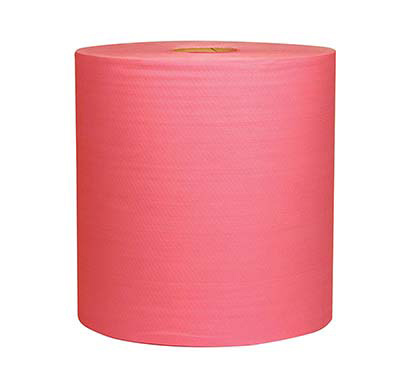 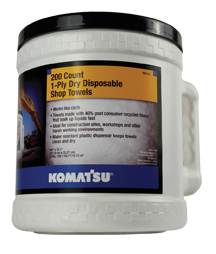 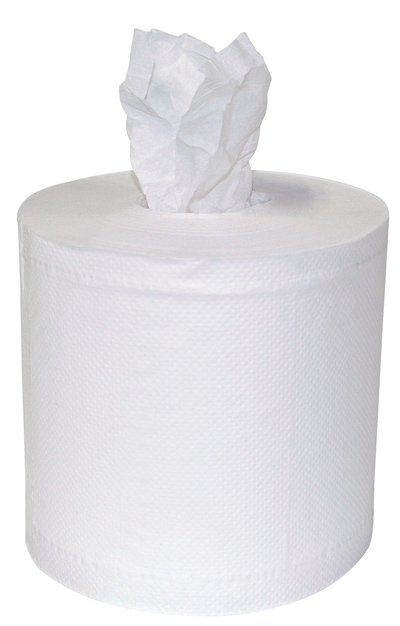 PN:KM5025001 Shop Towels, 100 ct, HW Interfold 9.5" x 16"
Soft on hands and face, absorbent, and won't fall apart- even when wet. 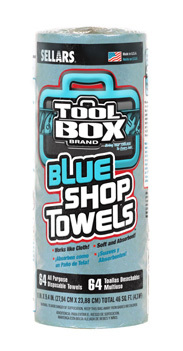 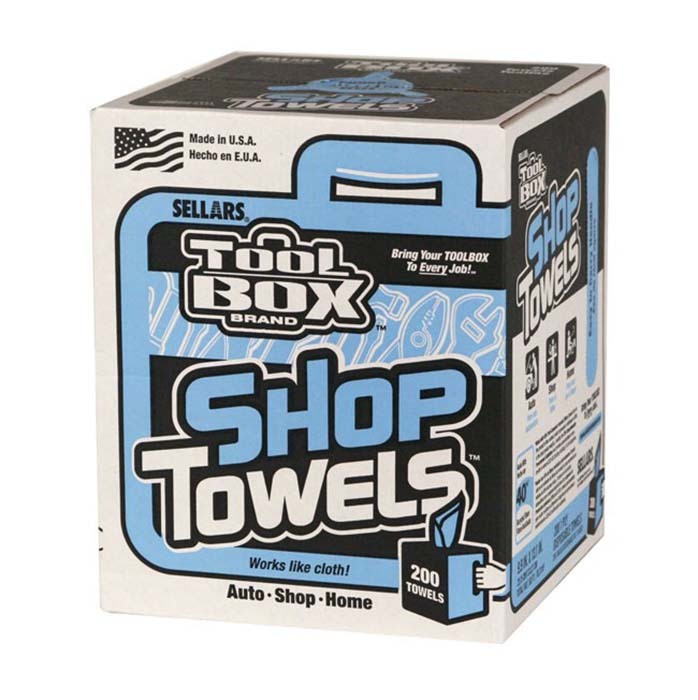 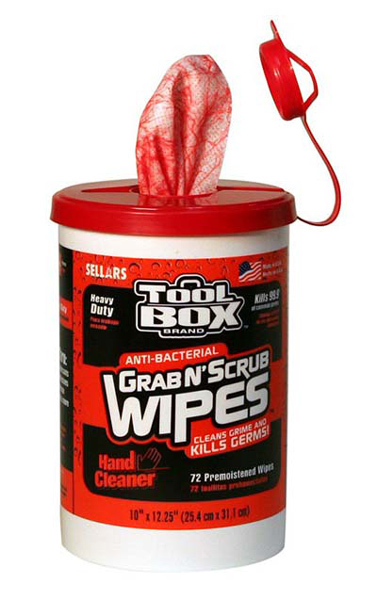 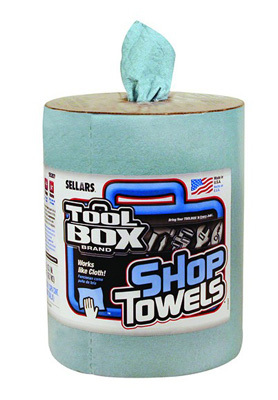 Blue shop towels help hide grease and grime better than white shop towels allowing for more use before being discarded. 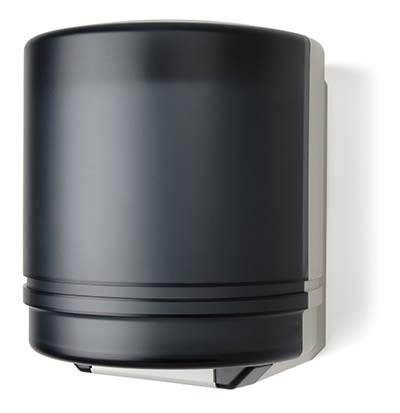 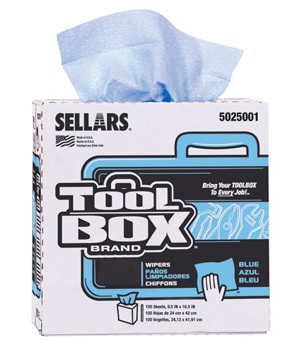 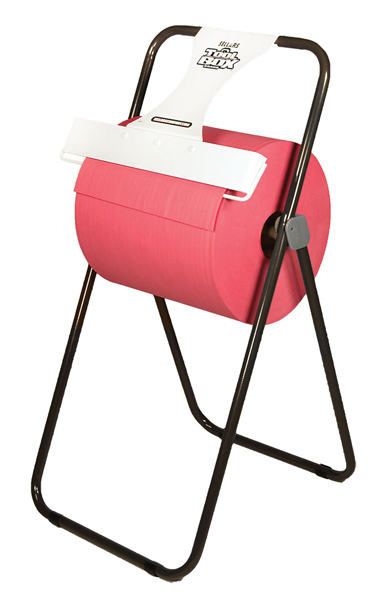 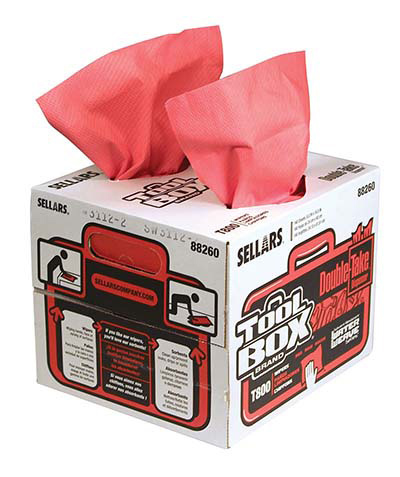 Water resistant packaging, peel & reseal top, and cardboard dispensing disk.